As the world of internet marketing gets increasingly competitive, those who are in the field grow ever more creative with new tactics and outreach. One of the more recent attempts of content Marketing is definitely here to stay. But that doesn’t mean it always has to come in the most educated form. SEO Evangelists like Rand Fishkin are always touting the importance of inbound marketing – creating amazing blog posts packed with information and how-to’s or infographics full of stats and facts that will make us all more educated. But I prefer a good laugh. And whether you feel the same way or not, you may still be interested in how Meme Marketing can be both fun and valuable. This post will explain exactly what Memetic Marketing is and how you can leverage it to improve your online brand and drastically increase the web traffic to your site. The term meme was coined by author, Richard Dawkins, in 1976, and is one that has been used loosely over the years. It’s thought of as a new phenomenon by most users of the internet, but the concept of memes has actually been around for centuries. By definition a meme is simply an idea that spreads from person to person within a culture. An internet meme is one that is only propagated through the World Wide Web. Dos Equis’ Most Interesting Man Meme instantly, but Memes can exist in other forms. 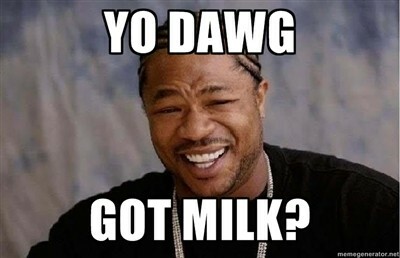 For instance, the term “Got Milk?” was used at the forefront of many a joke throughout the 90s. 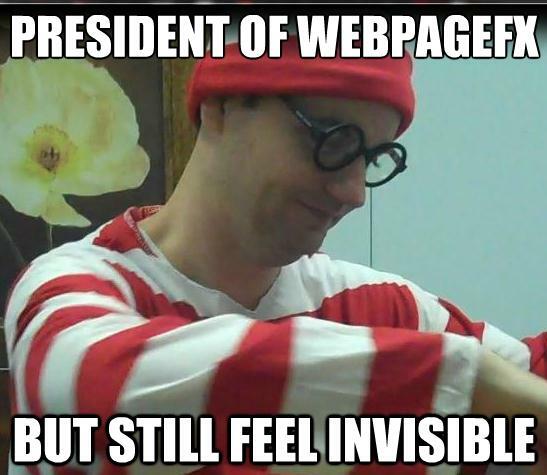 In fact, it’s even made it as its own Internet meme! 1.Memes are inherently social. They cause individuals to interact and react. They appeal to an emotional stimulus. People constantly want to share them. 2. Memes are addictive. Individuals have a hard time ignoring them. You constantly hear references being made to them in conversation and they harvest desire in viewers to create their own. 3. Memes match social trends. They reflect and prey upon the trends and fads of today, allowing for a marketing campaign to shape the current moods of the public. Get to know your audience because in order for a meme to be successful, you must appeal to a smaller audience willing to spread the word and share your meme. By engaging your audience more, the memes you create are much more likely to be socially friendly and will improve the sharing rate and popularity of the meme. Keep track of the various life stages of your meme. Notice the changes in discussion by those who share your meme and you will be able to make your meme marketing strategy stand the test of time. It’s essential that the idea behind your meme goes beyond exposure and that readers understand the purpose of it. For example, the “Got Milk?” campaign wasn’t created to be the brunt of many jokes or to be made into t-shirts. It was created by the California Milk Processor Board to promote the consumption of milk. You will also learn who the strongest advocates of your meme are. Target them, expand on their effort, and embrace their passion — you’ll see future benefit from it. The beauty of memes is that you can republish various forms of a meme and at a very low cost. But the difficulty lies in the ability to cut through the clutter and stand out among the rest. This is significantly harder if you are recycling older memes. Strive to be creative, clever and witty throughout your marketing strategy. Keep in mind that due to these recycled memes previous acceptance, you must adapt your strategy to blend with its community so that you do not receive backlash. Here is where the real benefits of meme marketing kick in for your website. If you create a meme that is successful enough, individuals will recognize your brand. Meme marketing also has the power to make a dull brand seem exciting. Check out Wonderful Pistachios depiction of the Honey Badger. With meme marketing, community acceptance is everything. So it’s no surprise that websites can gain exposure and drastically increase traffic through the use of online community networks. Make sure you use all of your resources to ensure that your content can be seen by many and shared conveniently. Place your content on niche sites, and actively participate in the discussion surrounding them in order to bring focus back to the things that you have posted. Meme marketing has seen the most success through the online communities of Reddit, Tumblr, Pinterest, 4chan, Fark, Cliché, Something Awful, Funny or Die and Boxnutt. In my own practices of meme marketing, I published a post consisting solely of memes on my soccer blog, and then shared it with the Reddit community. In just over three hours, this post on my small blog received 608 views. A typical post only gets about 80 viewers a day. 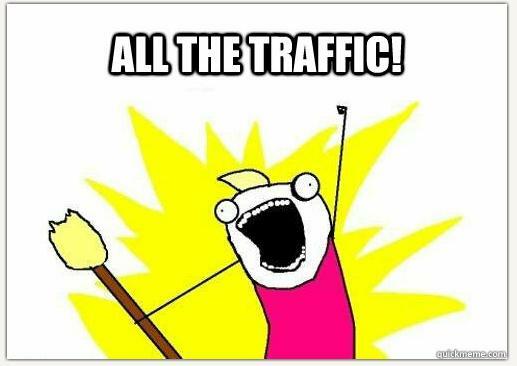 This clear jump in traffic can mean only one thing, online marketing memes are #winning!